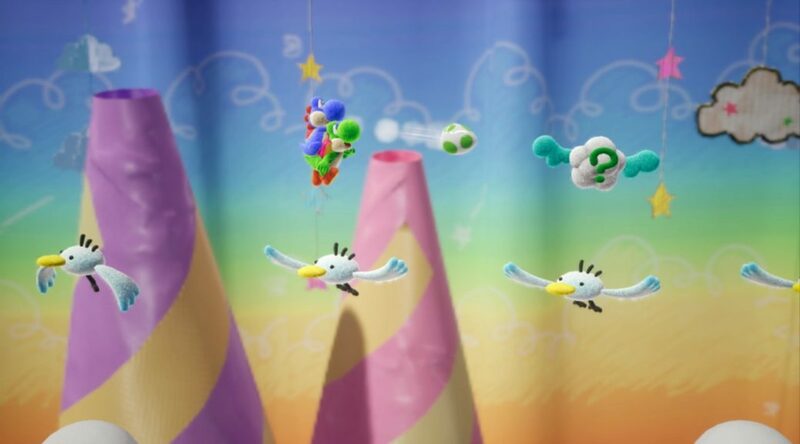 GameXplain has found multiple easter eggs in the demo version of Yoshi’s Crafted World. The first easter egg has something to do with Super Mario RPG. In one of the levels of the demo, there is a cardboard box with the words Yo’ster Cookies, a reference to Yo’ster Island in Super Mario RPG. Second is a milk carton with the words “Moo Moo Meadows Milk”, a reference to Moo Moo Meadows in Mario Kart 8 Deluxe.